On this page we list educational courses relevant to Risk Management, Loss Control, Insurance, and other courses of interest to those in our area. Note that inclusion on the list below may not constitute endorsement by RIMS. Contact the Webmaster if you would like to post an event. COSO updated its ERM framework in 2017 to better fit the risk management needs of organizations today and into the future. This presentation will discuss concepts from that framework that have received good market response, as well as tips on how to leverage the framework to help achieve and sustain success. Advance your risk knowledge by taking advantage of the wide variety of in-person and online professional learning opportunities that RIMS offers. These valuable educational offerings are designed to fit your evolving business needs. No time or budget for travel? No problem! RIMS CourseCasts allow you to attend world-class educational courses—delivered by our expert faculty—without ever leaving your desk. These highly interactive 90-minute online "mini-courses," will provide you with takeaways you can put into practice immediately. RIMS offers a variety of in-person risk management workshops across the United States and Canada that are designed to fit your evolving business needs. Register 30 days in advance and save $75 off of of any upcoming workshop. Earn RIMS-CRMP Credits. Each hour of workshop education is eligible for one point towards RIMS-CRMP recertification. Today’s insurance professionals face difficult financial, ethical, legal and global concerns. Our program further develops a student’s ability to analyze these issues from different perspectives, fosters critical thinking, and enhances the discipline needed in today’s risk management and insurance market. Consider FSU's Top 10-ranked program offering an innovative curriculum designed for the working professional. 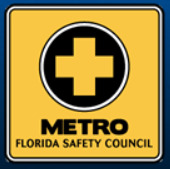 On-site Safety Classes available throughout Florida. For your convenience MFSC will come to your location to conduct safety training. To order any workplace safety training materials: 800‐621‐7619. Please contact Bill Mason below if you have the CPCU designation, or equivalent qualifications, and are interested in teaching. Click here for the CPCU Program Description. HOW TO REGISTER FOR A CLASS: Simply call or email the course instructor for instructions. OVERALL PROGRAM QUESTIONS: Call Bill Mason, CPCU, ARM-P at (954) 790-3734. ORDERING STUDY MATERIAL OR REGISTER FOR AN EXAMINATION BY PHONE: To ensure you order the correct ARM 55 study material, please call the Insurance Institute of America’s Customer Service at (800) 644-2101. ONLINE: Click here to search by exam or search by program. Identification Number and Certification forms for the instructor shall be made available during or prior to registration. No cash or credit cards accepted. PARKING PASSES: Download and print a parking pass when you register online. To pickup a parking passes in person at the North Campus visit the Safety Office, Building 46, Room 101 or call at (954) 201-2229. Bring with you proof of class registration and vehicle registration card. Students attending Downtown Center Campus classes pay an hourly parking garage fee for each weekly class. Miami Dade College, North Campus, School of Continuing Education and Professional Development received a Susan Harwood Grant from OSHA (Occupational Safety & Health Administration) to provide training and education programs for employers and workers on the recognition, avoidance, and prevention of safety and health hazards in their workplaces. We can setup a training session at your location at no cost. It is a 4 hour training which can be done in English, Spanish or Creole in Miami, Broward or Monroe counties. We require a minimum of 25+ attendees per session. After the training, participants receive a Miami-Dade College certificate of participation that can serve as training documentation for OSHA as part of your safety program.